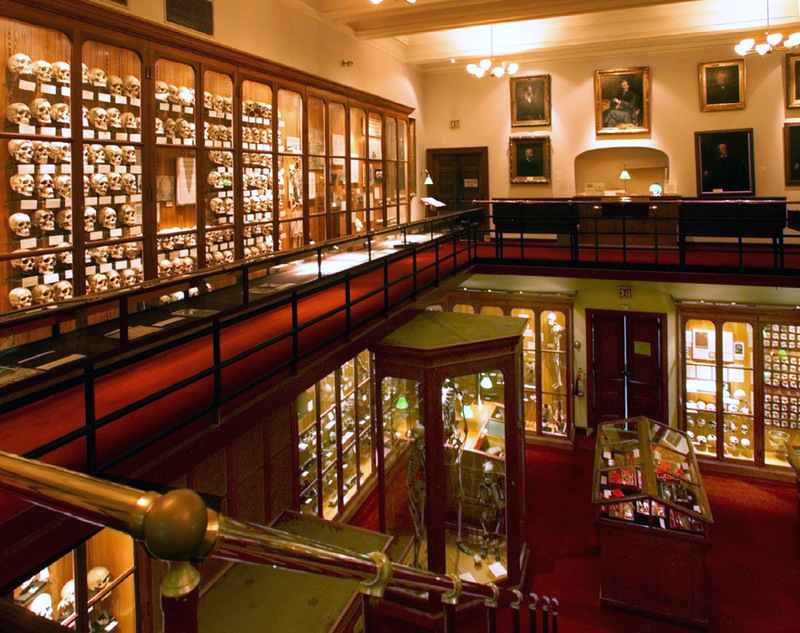 There’s plenty to report about all of the above, but I feel compelled to at least briefly bow to the genius that is The Mutter Museum, a sort of cabinet of medical/anthropological curiosities housed within the College’s headquarters in downtown Philadelphia. It’s awesome. My personal stop-me-in-my-tracks display was a huge human colon — and removed after the death of a 29-year-old man in 1892. Before the end of the night, I’d learned that the Brothers Quay, whose brilliant Street of Crocodiles may very well be my favorite movie of all time, have been commissioned to do a documentary about the Museum. There’s an interview with Stephen and Timothy about this project here. Are you sure the colon was removed from the man and not the other way around? ust heard your interview with Bob Edwards. The tone, focus and level of detail were all bang on target. High praise is due both to you and to Bob. But enough of that. Let’s talk about medical museums. When I was a kid, the US Army Medical Museum was housed in a grim, sooty red stone building on the Mall about a block from the Smithsonian castle. It was the spookiest and most fascinating place a ten-year-old boy could dream of. They had General Sickles’ shattered thigh bone and the bullet that had done the deed. A leg from an elephantiasis sufferer floated in a vat of formalin; it was bigger than I was. A completely fused skeleton sat in a closet-sized display case. The poor fellow had lived out his days in a VA hospital as osteoarthritis took the mobility of every joint in his body until they removed his front teeth to feed him soup. An entire corner of one room was given over to teratatogenic specimens: fused or extra-limbed or acephalic fetuses in jars. One young woman had been a compulsive hair eater, and her hairball was on display, looking almost coiffed in its neatness. She was a blonde. In the back room were photos showing the results of military accidents grisly beyond imagining. One, I recall, was of a crewman who had walked face-first into a helicopter tail rotor. My parents had absolutely no idea what was in that place, or I would have been banned in a heartbeat. The Army Medical Museum has long since been relocated to the grounds of Walter Reed Army Medical Center, and most of the grotesquerie has disappeared in favor of exhibits with an explicitly educational mission. But I’ll never forget that spooky old museum. If I grew up with a passion for natural (and unnatural) science, it deserves much of the credit.